The construction industry has fought the issue of independent contractors with no benefits or employees with full benefits for the last decade. Now the startup Uber is in the middle of two suits, and the ultimate outcomes on those decisions will impact their viability in the future. And it is not just Uber. The decisions on these cases in California could have an impact on the viability and growth of “on demand” startups and the personal service businesses like Uber. The startups and their business models are a perceived threat to the “old way of life” where you got a job and benefits and you stayed with that company or industry model until you retired. 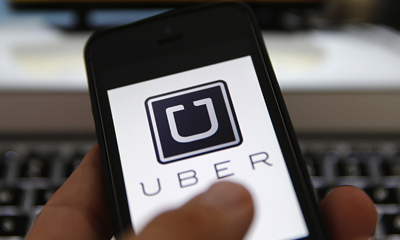 The lawsuits that are afoot in California have enabled Uber independent contractors to join a “class action” suit where Uber would have to reclassify all their drivers as employees and pay gas and mileage for the drivers. This would threaten the “gig“ model and their competition and other firms since the additional cost of gas, mileage and even benefits would turn their business model upside down. The second suit enables the issue to be applied to one driver and not to every driver. Similar suits in other states have ruled in favor of the companies, not the individual drivers. Look for this one to be appealed. Another dimension of this movement was the recent NLRB ruling against Browning Ferris and their labor supplier where the decision ruled that they were “joint employers” and that the workers were employees of both. That “joint employer” decision combined with the current decisions on the California suits is well worth watching whether you are in the “gig” economy or the construction industry as a whole.